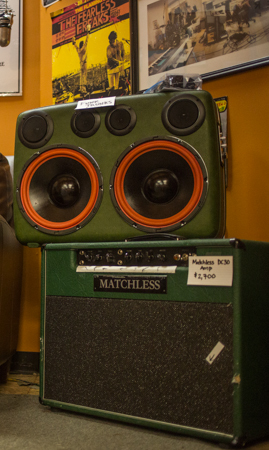 Schoolkids Records, was the first indie record store in Wake County and remains an active part of the music scene, even in this age of digital music. Owner and manager Stephen Judge has seen the store become a historical business throughout its 40 years of operation. 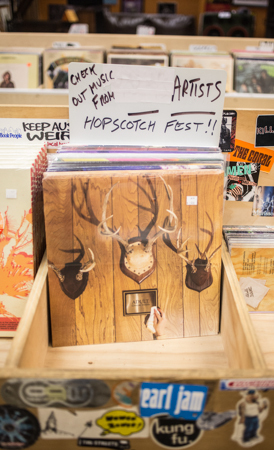 Stephen, a North Carolina State University grad, worked at Schoolkids Records while he was in college, and after spending some time managing bands he returned to the store due to his love of the area and to help support the local music scene. Schoolkids Records keeps about 50 percent of the store stocked with vinyl records. 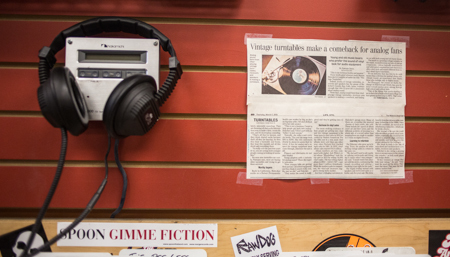 More people are buying digitally, but a demand for vinyl records has recently been growing. On Record Store Day this year, the store had about a two-hour wait line full of customers waiting get into the store to shop for albums and to celebrate the day. Schoolkids Records stocks the largest selection of vinyl records in Wake County. They support music of many genres, including alternative rock, indie, bluegrass and metal, with as many albums as possible coming from local musicians. 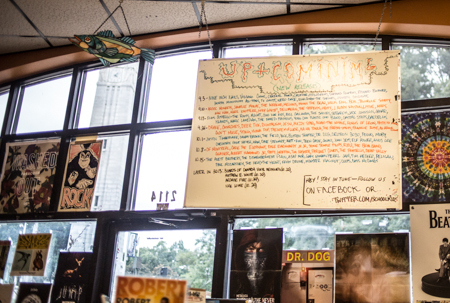 The staff is knowledgeable about new music arrivals, performances in the local area and what to recommend to fans of just about any genre. Their friendliness also makes you feel at home as you browse the large selection of music. 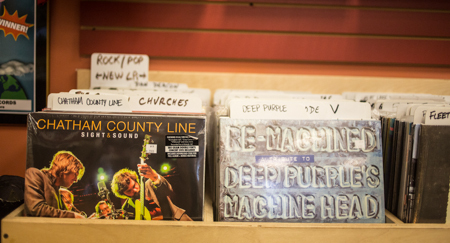 A large handful of local musicians, such as Once and Future Kings, Jack the Radio and Chatham County Line, stock Schoolkids Records with their albums, so the store is a great place to find great local music. 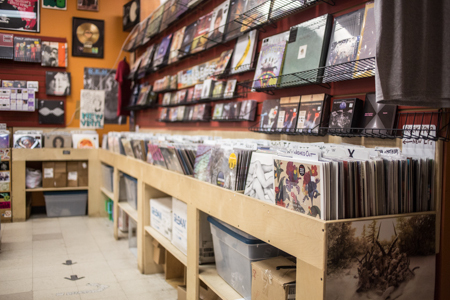 Throughout the store, there are many places to sample new music and give bands that you may have never heard of a listen before you buy an album. "Well-known musicians such as Robert Plant, The Avett Brothers and Mutemath have made Schoolkids Records a stopping point if they are touring in N.C.," says Stephen. 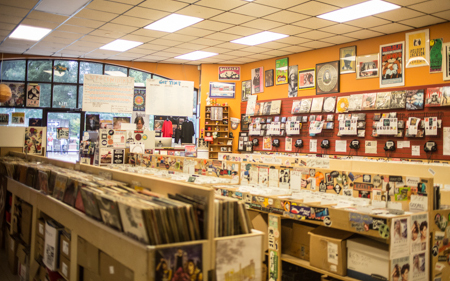 Bands such as Delta Rae (Raleigh natives), Best Coast and Bad Veins have played on the stage in Schoolkid&apos;s Records as the store hosts in-store performances. Schookids Records has been around since 1973 and has seen cassette tapes, vinyl records and cd&apos;s come through its store. Schoolkids Records is a contributor to the first successes for well-known bands such as Superchunk, Ryan Adams and Ben Folds. 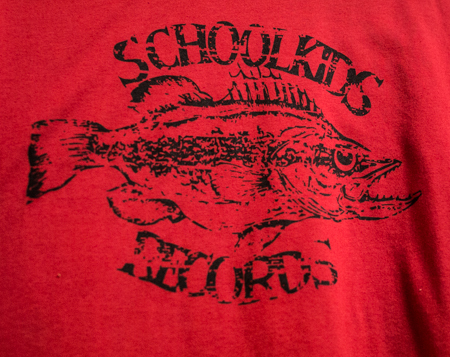 Schoolkids Records is also one of the founders of The Coalition of Independent Music Stores. The store also buys used CD&apos;s and vinyl records. When they receive popular albums, it is common for them to post online about the record being in stock. Stephen mentioned that he has seen some used albums sell as quickly as 10 minutes due to the power of their Facebook page. Schoolkids Records is proud to sell tickets to some concerts that will be at local venues such as The Ritz, Lincoln Theatre and King&apos;s Barcade. They also list new albums that will be coming to their store and local shows coming up. Written by Kristen Hill. All photographs contributed in this post by Kristen Hill of Kristen Abigail Photography.